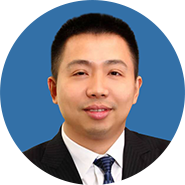 Kevin （Penghui）Chen is the founding partner of Biotrack Capital. Prior to Biotrack, he was a partner at Sequoia Capital China, responsible for healthcare investment. Before Sequoia, Mr. Chen was the founding member of the first healthcare fund at Everbright Holdings and served as head of Everbright Healthcare Fund I. Before Everbright, he was the President, COO & CFO of ShangPharma Corporation, one of the top three preclinical CRO companies in China and took the company public at NYSE in 2010. Prior to ShangPharma, Mr. Chen also worked in the M&A and BD function at multinational companies and worked as research scientist at Ligand Pharmaceuticals in San Diego, California. Mr. Chen holds a bachelor’s degree in chemistry from Nanjing University, master degree in medicinal chemistry from Tulane University and an MBA from Kellogg School of Management, Northwestern University.